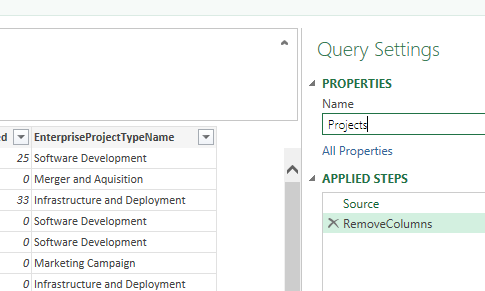 Something I have been meaning to blog about for a while now is Power Query. 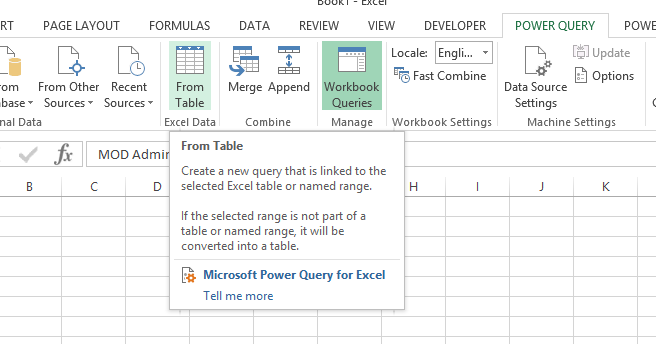 There is nothing revolutionary in this post but hopefully it will give the readers some idea of how powerful Excel Power Query can be if they have not seen / used it before. We will only touch the surface here in this post but there is plenty of information available already. 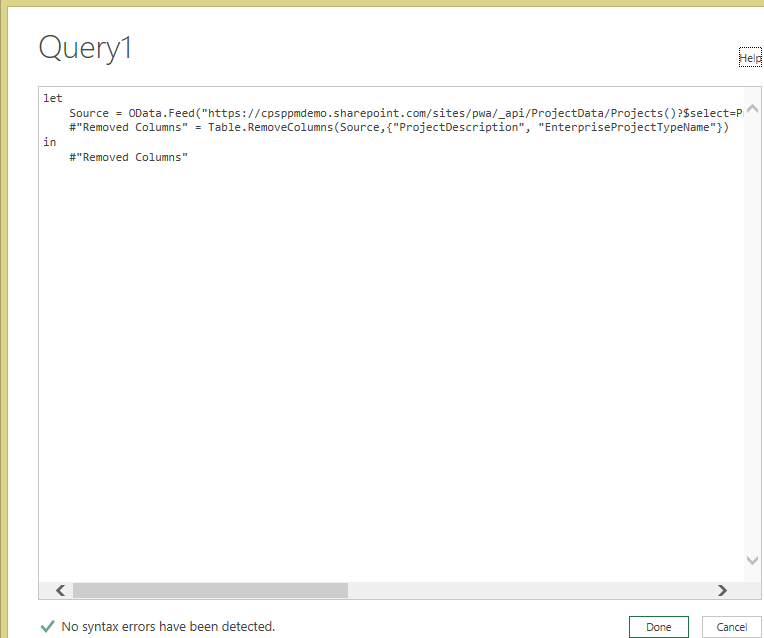 So firstly, what is Power Query. 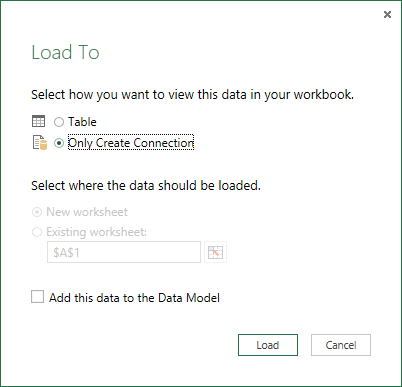 In short, Power Query is an add in for Excel that enables you to work with many different data sources and transform that data as required. An intro can be seen here. Power Query is formula based but this is different formula syntax to what you use in Excel. The Power Query formulas are based on what was known a “M” language, an intro to the formulas can be found here. 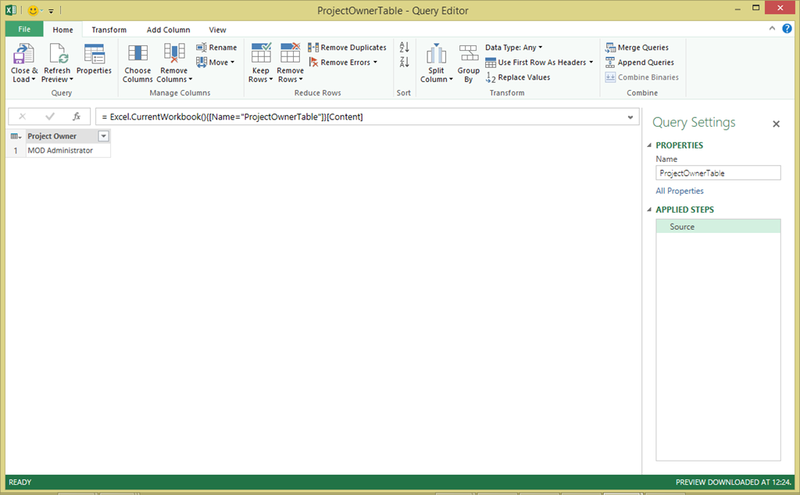 Now we will look at creating a simple Excel Power Query report for Project Online using the OData API. The first report we will create will be a simple report that allows you to dynamically filter the data based on a text value in a cell. The dynamic filtering is useful when you are looking at large amounts of data such as time phased assignments in Project Online. The example we create below doesn’t really benefit from the dynamic filtering as the data set is small but this is only an example to show you how this works. Click OK. You will then be presented with an authentication window. Select “Organizational account” from the left hand side navigation and click Sign In. In the new window that appears enter the credentials for an account that has access to the ProjectData API. 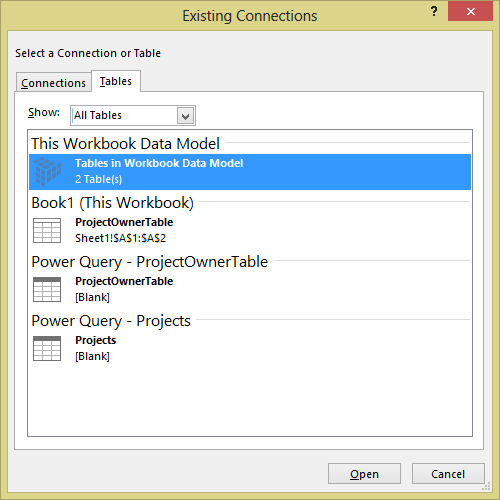 We now have our Project Online data in Power Query ready to be used as a data source. In this example I have already selected the columns I wanted, but if you just used the Projects feed with no select (..pwa/_api/ProjectData/Projects()) you would see all of the columns displayed. At that point you can then easily chose which columns you would like in your data source by selecting the columns you don’t need then right click and chose Remove Columns. 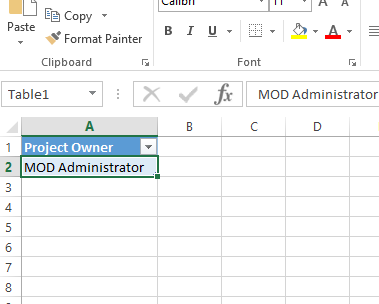 Enter any Project Owner name for now, I used he MOD Administrator in this example as that user is the Project Owner for a few projects. Give the table a name, in this example I called it ProjectOwnerTable. 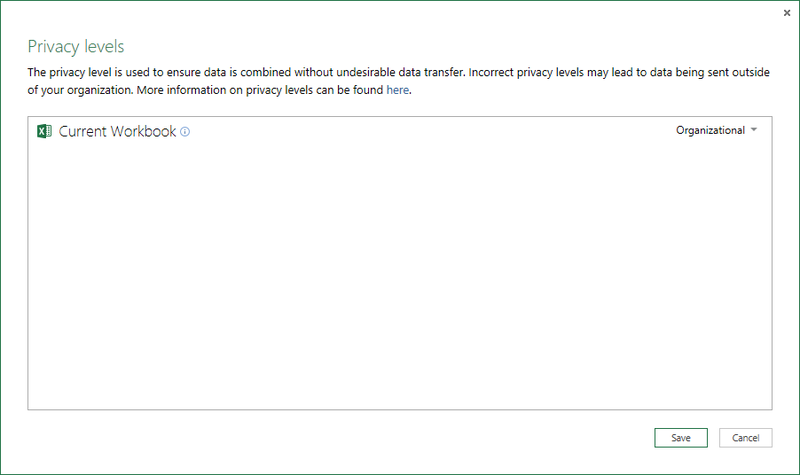 Now click the “Close & Load To…” from the Home tab and chose the “Only create connection” and check the check box to add the data to the data model. 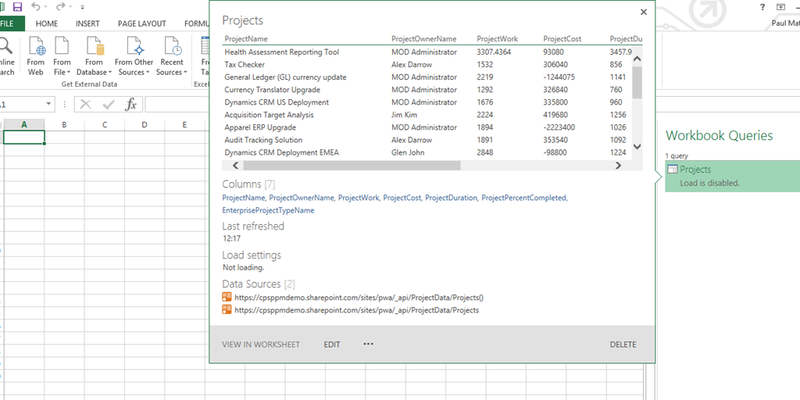 A very quick and simple intro the Power Query for Excel with Project Online data using the ProjectData Odata API. I hope to give more examples in the future. I liked the article and tried it myself, but my problem is that the report can not be refreshed in Project Online. Do you have the same problem, or do you have a solution. 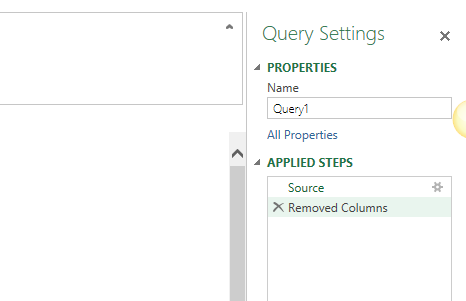 The Power Query reports wont refresh live in Excel Online / Excel Web App.